Well, I did not have my money on Scandal ending with a Seinfeld-esque reckoning of every characters’ crimes and misdeeds. This last season has made a lot of viewers wonder why we should want any of these people to have happy endings and it seems like Scandal is listening. We might end this thing with everyone in jail! In terms of narrative, this reckoning makes sense. Scandal couldn’t have Olivia break good again and not come to terms with everything Olivia has done. Amanda Tanner, Defiance––everything is on the table. I asked for Papa Pope to come back and I got just what I wanted. Someone needed to put Jake in his place and Papa Pope was the only one who could do it. Can someone make a supercut of Jake pointing a gun at someone or threatening to kill someone and then not doing it? When he pulled that gun on Papa Pope, I laughed. When it comes to the plot, however, none of this makes any sense. These people have tried to destroy B613 a million times and “Hey, let’s go public with all of this” never occurred to them? Sure, the story ends with them doing “what’s right for the country,” but that means we’ve just watched them ruin the country for 7 seasons. It’s never really seemed like the American people were a concern for Olivia, Fitz or Mellie. They’ve all always been motivated by their own interests. Papa Pope told them everyone is worth saving, but they’ve failed to save some of the most oppressed people in the country. 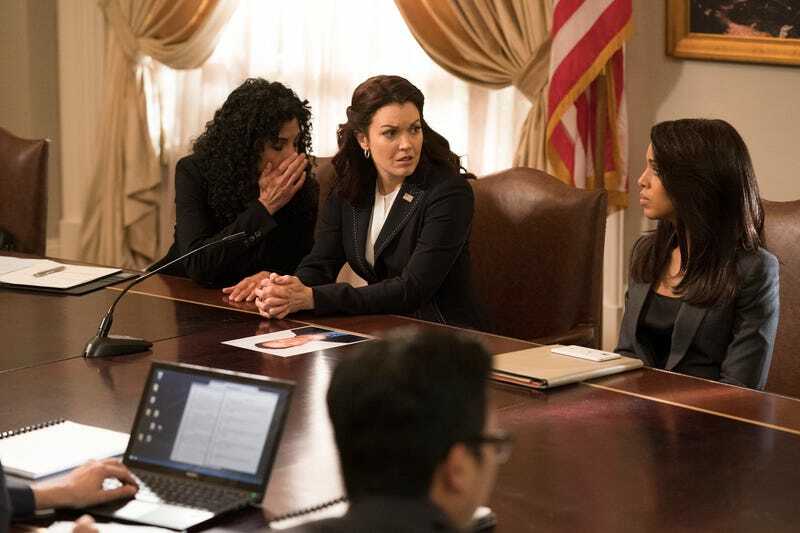 It’s hard to care about erasing Fitz and Mellie’s legacies. Every character ending up in jail seems fair, but it also means every secret or murder that got us here feels unnecessary now. I like that someone is finally trying to research Jake’s background. Jake has always been a shallow character, so this twist to pure villain works well enough at this point. I love what the show has done with Sally Langston. It’s so ridiculous and she’s always a treat to watch. I hope we get Susan Ross back before the end comes. Well, I thought someone was going to murder Jake, but that wouldn’t make sense now. We can’t really have any surprise murders since that would look suspicious before Congress. 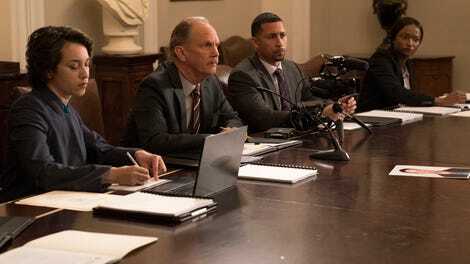 If Scandal really does end with all of them in jail, I won’t know what to think. I wonder if Papa Pope or Olivia will end up saving the day? Fitz really is useless. I’m glad he came over to Olivia’s house to tell her that he was useless. Thanks, Fitz. It’s time for Scandal to get off the air and it’s time for all of these people to get out of the White House. At this point, I’m on the side of the American people and I think they should clean house.